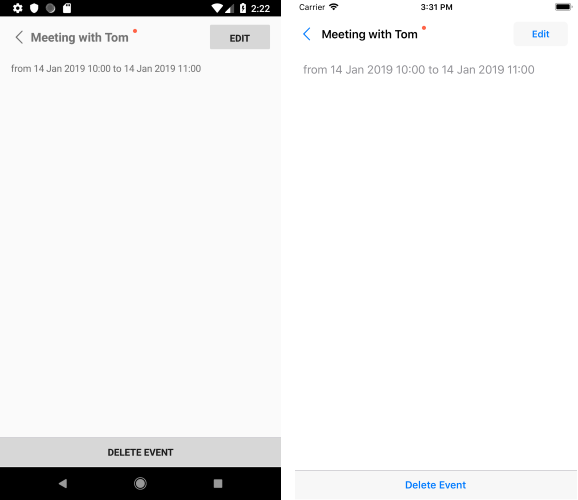 With R1 2019 release (version 2019.1.116.1) of Telerik UI for Xamarin RadCalendar introduces built-in UI for creation and modification of appointments, so you could provide users with the ability to directly schedule their meetings. 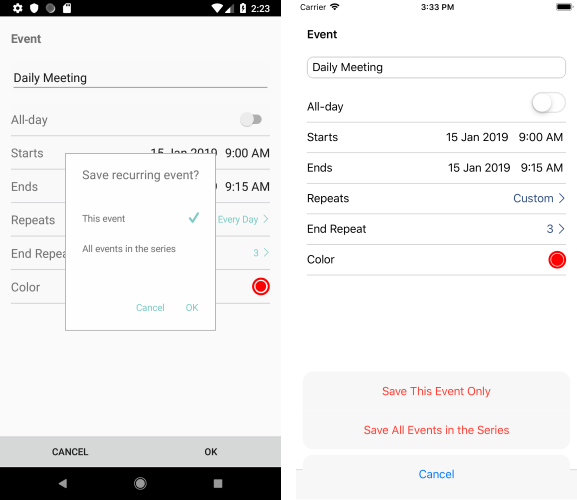 This article gives an overview of the available scheduling screens in RadCalendar used for managing meetings. In order to enable the feature, set SchedulingUiEnabled Boolean property of RadCalendar to True (by default it is False). 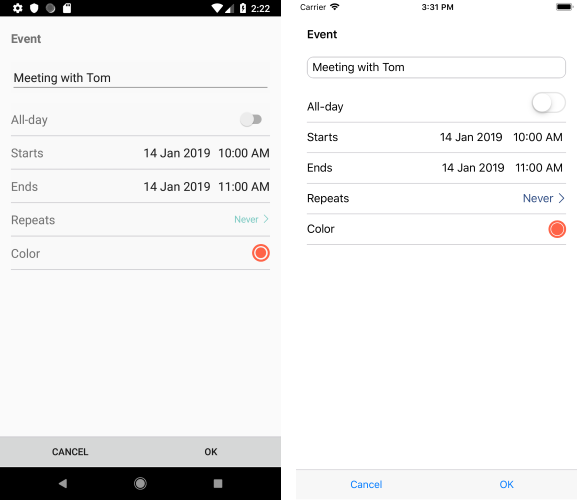 Please note that scheduling screens can be shown only in DayView and MultiDayView modes. You could refer to the View Modes topic for more information on the available in RadCalendar views. 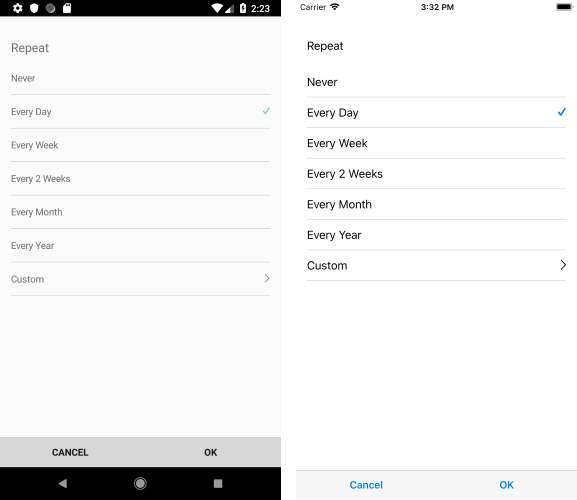 If you use a custom appointment (that derives from Appointment class), make sure to add an empty constructor - this is needed in order to properly create appointments through Scheduling UI. 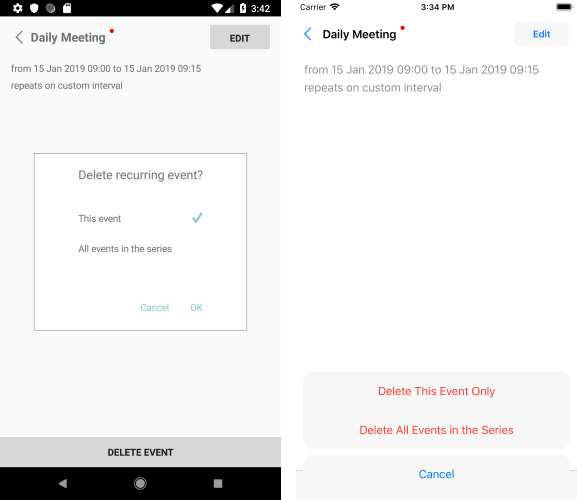 In addition, you can prevent the appearance of the scheduling screens for individual appointments or time slots by handling AppointmentTapped/TimeSlotTapped events respectively and setting e.Handled to True inside the event handler. 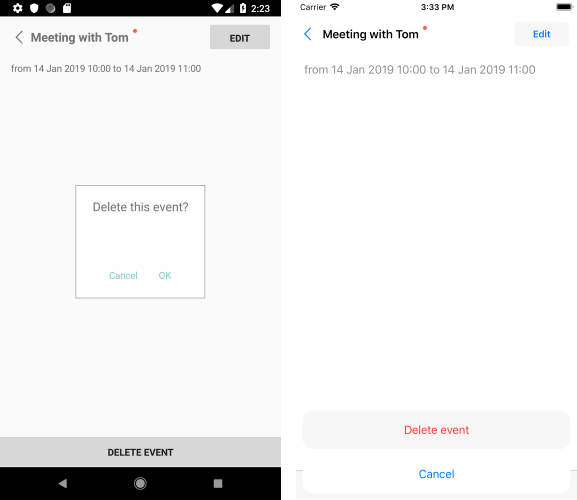 Check below a quick example on how you could prevent creating an appointment before certain time.